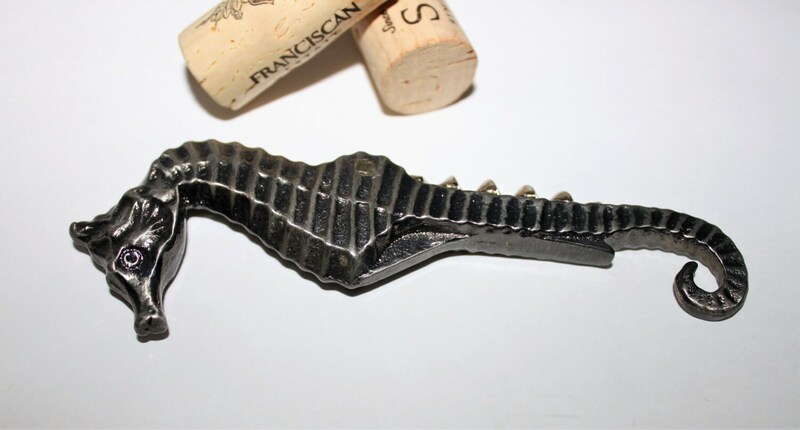 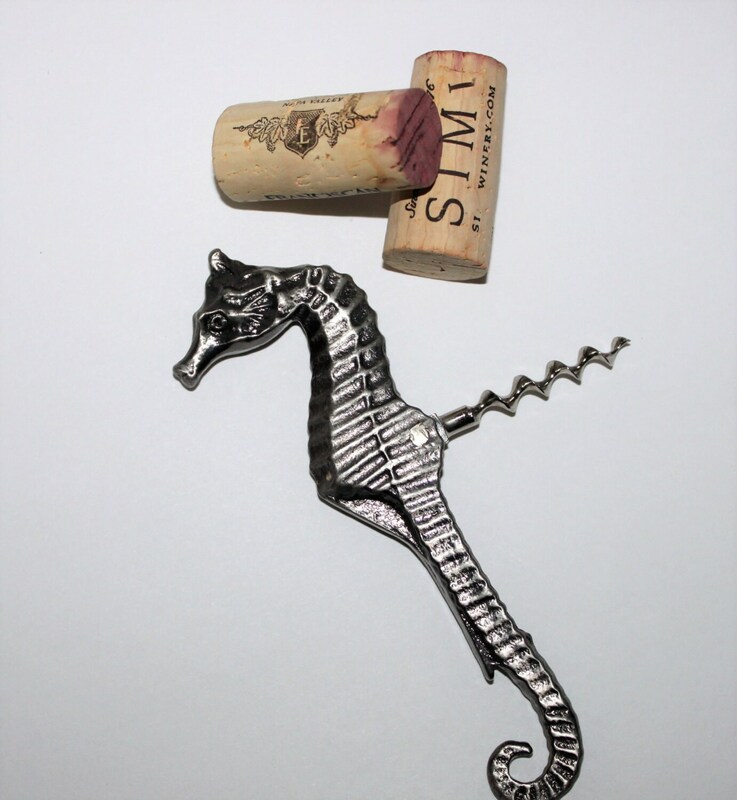 We have for sale a Vintage 1980s Figural Seahorse Corkscrew. 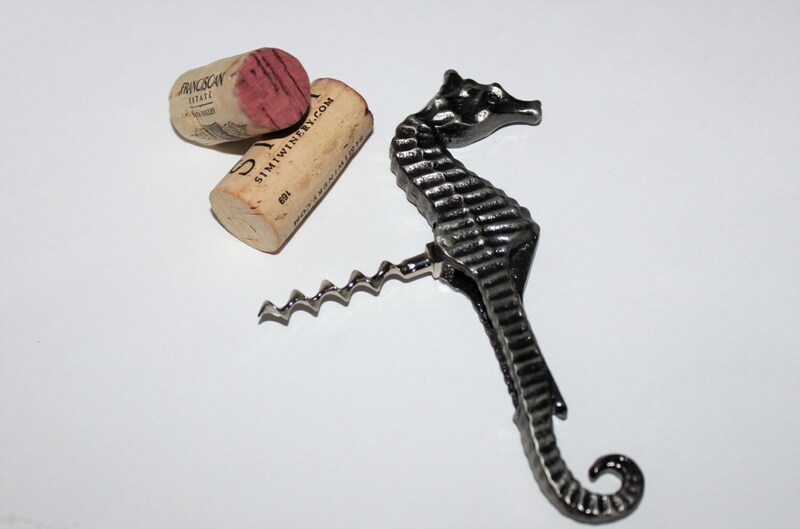 This is a nice heavy duty figural Seahorse corkscrew. 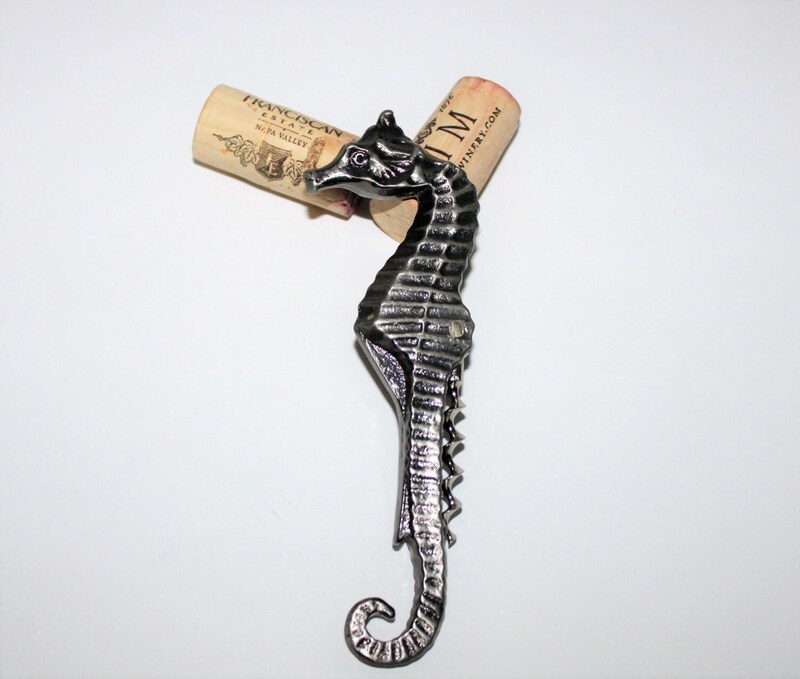 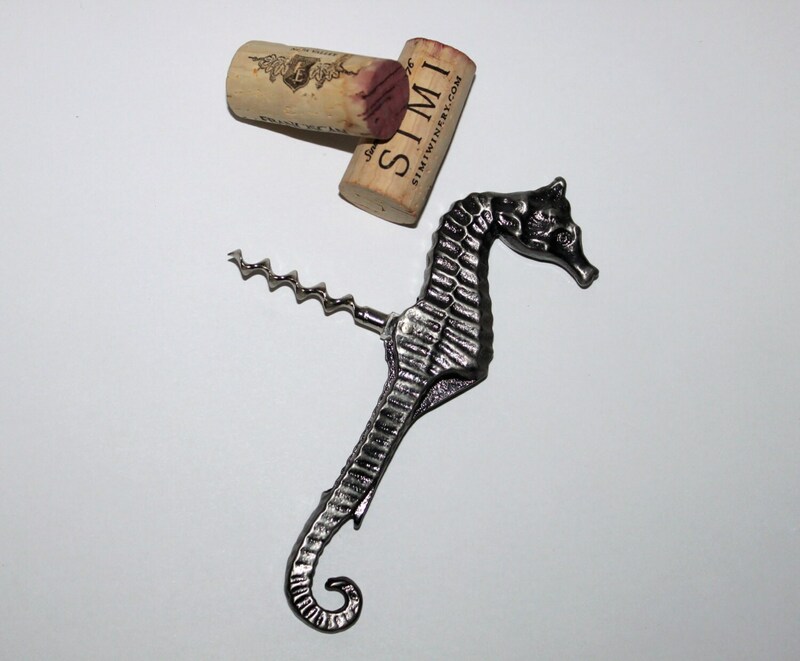 It has a steel bladed worm (corkscrew) which folds down into the backside of the Seahorse, the tail is actually a bottle opener.